/ Best Cheeseburger in Destin / $6.99 Burger Basket ALL DAY | CRAFT BEER TASTING at 6PM! $6.99 Burger Basket ALL DAY | CRAFT BEER TASTING at 6PM! Destin, FL Means BEST BURGERS & CRAFT BEER at Landshark’s! 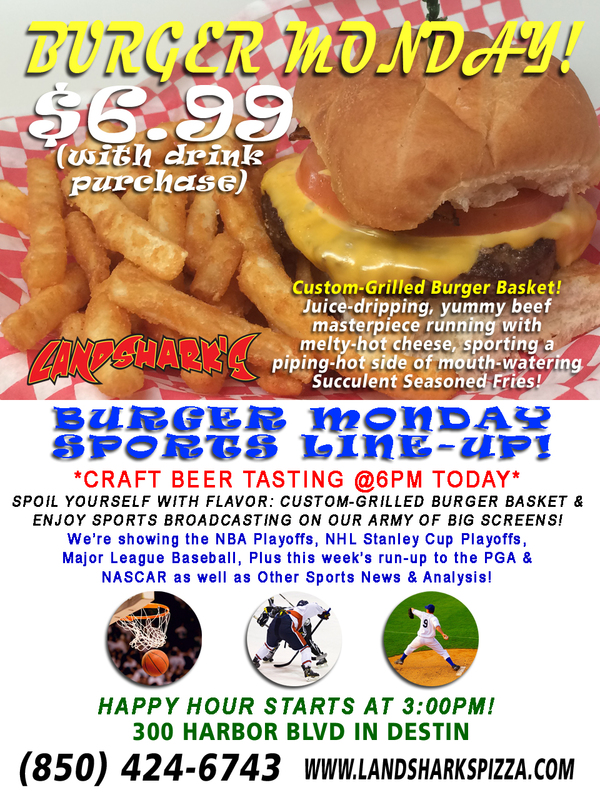 IT’S BURGER MONDAY AT LANDSHARK’S! Custom-grilled, juicy dripping, yummy beef masterpiece with a grand side of succulently seasoned french fries – mmmmmm that’s a full meal deal and all ya do is buy your drink! LET’S CHOW DOWN! TODAY: ‘CRAFT BEER TASTINGS’ (now every Monday!) 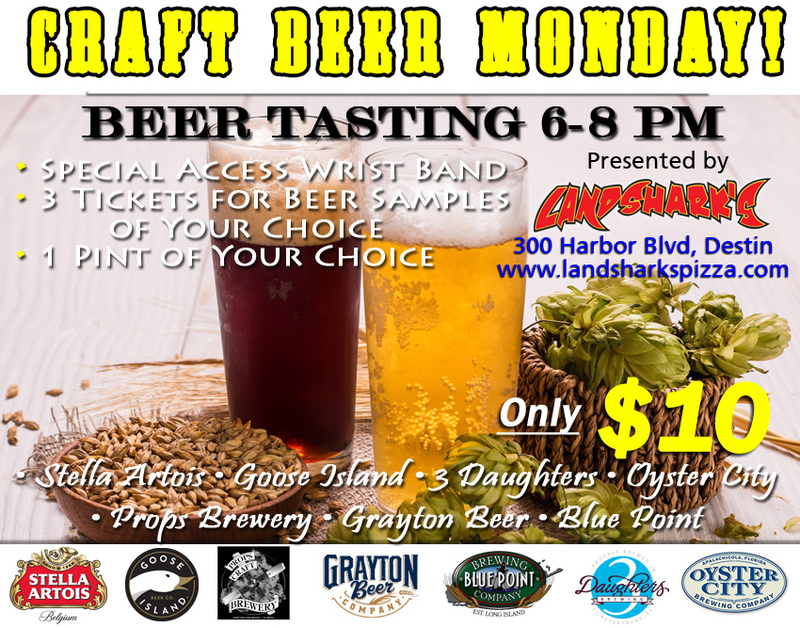 Join us this upcoming Monday for a WEEKLY Monday Craft Beer Tasting for your enjoyment for ONLY $10 – Includes All-Access Wristband, 3 Tickets for sampling the Craft Beer Monday selections of your choice, 1 Full Pint of the Craft Beer of your choice! SPORTS ON BIG SCREEN! 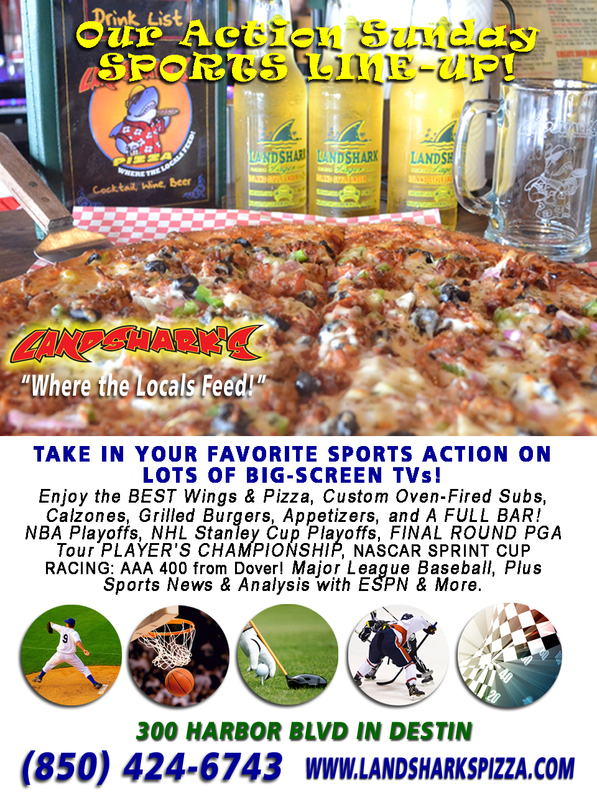 Catch NBA PLAYOFFS & STANLEY CUP PLAYOFFS! Plus, Major League Baseball and the latest event broadcasts in Soccer, Tennis, and Sports News, Analysis, and Commentary! 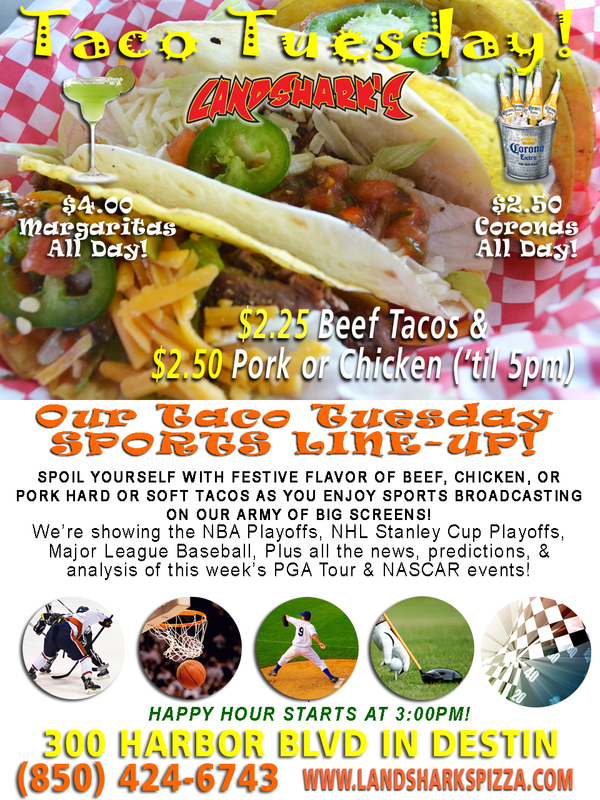 Previous Post: « Sports Big Screen TVs destin Pizza, Wings, Subs, & More – ACTION SUNDAY!